If you like the occasional bet but don't want to commit to joining a tipster a good way to get some great selections is to join the various mailing lists of tipsters that send out a free tip to their mailing list each week. Bookies Enemy No1 – Gary Poole sends out a free tip each Thursday, you may have to get in early to get this one today, but it's worth it. Last week Gary gave Wolf Of Windlesham, which won at 12/1. Value Backing – Carl Nicholson gives out his free tip on a Friday. 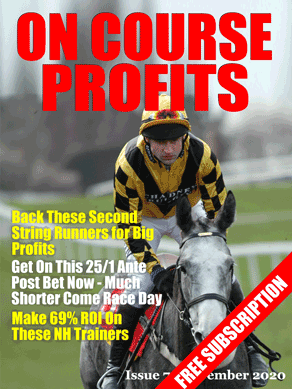 Racing Consultants – Rory and David give out their free tip on a Saturday.